The Faber Music Piano Anthology is a beautiful collection of core piano solo repertoire from the great composers, presented in progressive order. This luxury hardback edition features high-quality premium paper, page finder ribbon, and `The Concerto' linocut cover image by Cyril Edward Power. 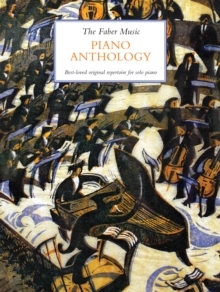 Selected by pianist and teacher Melanie Spanswick, this anthology is ideal for pianists of every level.